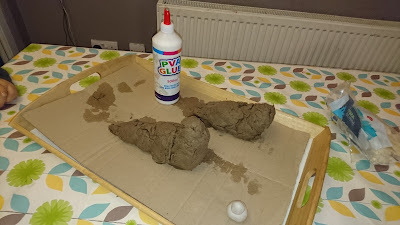 We love a nice bit of crafting here at Monkeyfeet HQ and this Star Wars craft activity to create a home made Jabba the Hut was a real winner with everyone. Its super easy although time consuming but most importantly Peanut no longer wants us to spend a fortune on a toy Jabba as she totally loves the one she made with Dad! The Jabba palace and stand are made out of old boxes cut and painted and were ready in less than half an hour! This looks so cool! I'm just not crafty at all! Booooo!